You can do it yourself! Paint that room of yours today. Are you a rookie at interior painting? If you are, believe that you can get the job done. 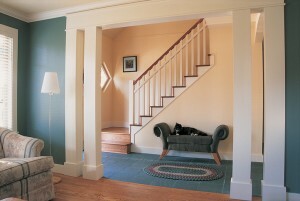 Painting is not necessarily a difficult task; however, you need to have a plan and a basic understanding of what to do. If you are need of some help on how to paint that room of yours, check out the following tips. Quite possibly the best tip for newbie painters is that you should always do prep work for your painting project. You want to make sure you have everything ready to go before you pop open that first can of paint. This includes moving furniture, laying down drop cloths, having brushes and paint rollers at the ready, etc. The more you prep the room, the easier and faster the process will actually be. Before you know it, you will be all done with your painting project. The trim of a room requires some special attention. It is in your best interest to get some painter tape that you can use to prevent dripping. Most people use a brush to paint the trim of a room; however, there are paint trimming products available that are useful tools for this step. You need to decide if you want to do the edge first or last. Either way is fine and is just a matter of personal preference. Many people elect to get it out of the way first. There are painting edge tools that are extremely helpful for this process. Believe it or not, painting the walls is usually the easiest part of the whole process. You will want to get yourself some decent paint rollers that will allow you to paint the walls in not time. After the first coat of paint dries, you may want to consider adding a second coat. It is usually beneficial because it will make the paint color pop.